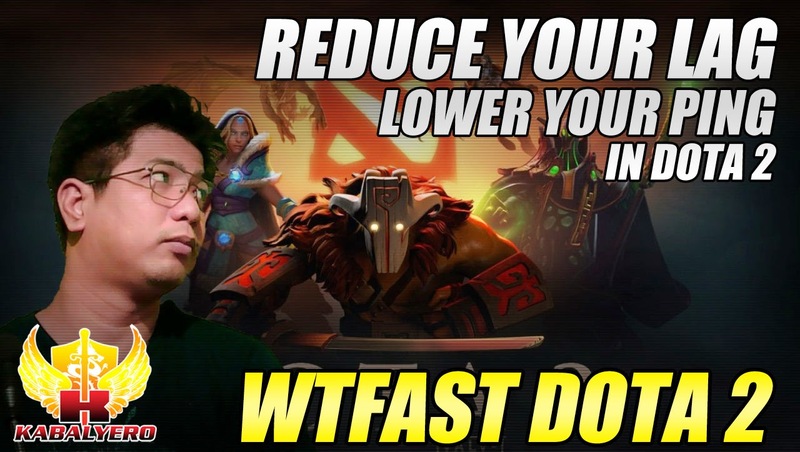 WTFast DotA 2, Reduce Your Lag or Lower Your Ping In DotA 2 - KABALYERO - PLAY, BLOG & EARN! WTFast DotA 2, lower your ping and have a better and smoother game with WTFast. DotA 2 is a multiplayer online battle arena game and it's played in real time. If you are lagging then you might not enjoy your gameplay experience and your team mates might get mad at you for playing poorly. The best way to avoid lag in DotA 2 is to play in your DotA Region's server but, if you are still lagging then you could either upgrade your internet connection or simply use WTFast. Obviously, using WTFast is a cheaper option because you can use WTFast for free forever but if you want twice the speed then upgrading to WTFast Premium is the way to go. To try out WTFast with your DotA 2 game, all you have to do is download WTFast for free, install it and play DotA 2. The link to download WTFast is http://bit.ly/1dstF8t.